Here along orbital road number 7, between the buildings, houses only exist while waiting for a road to pass through. The two buildings form a monument over something that might happen. The houses covering the ground must be easy to tear down, only light materials easy to take apart may be used for the construction, wood or steel frames. No concrete. On the other hand, this kind of planned development can catch pockets of older time. 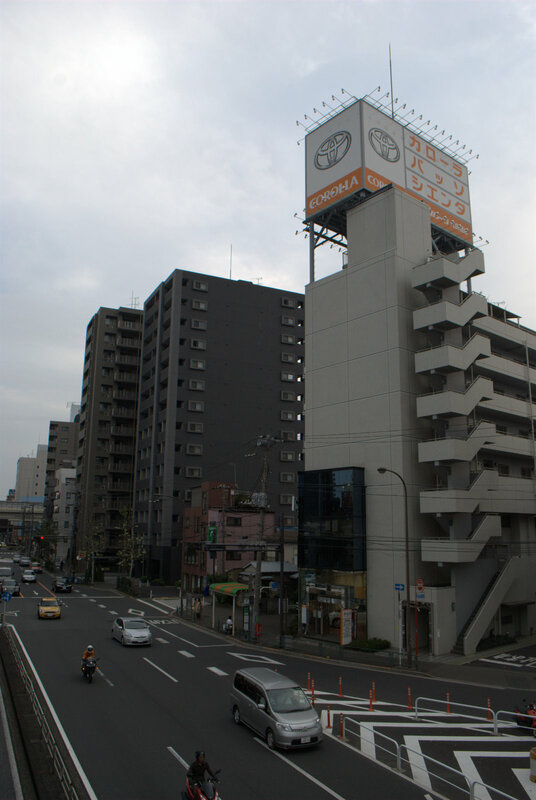 Since the future is even more uncertain than usual in Tokyo, no new houses or buildings happen. History is maybe not preserved but just present. The road set to continue. 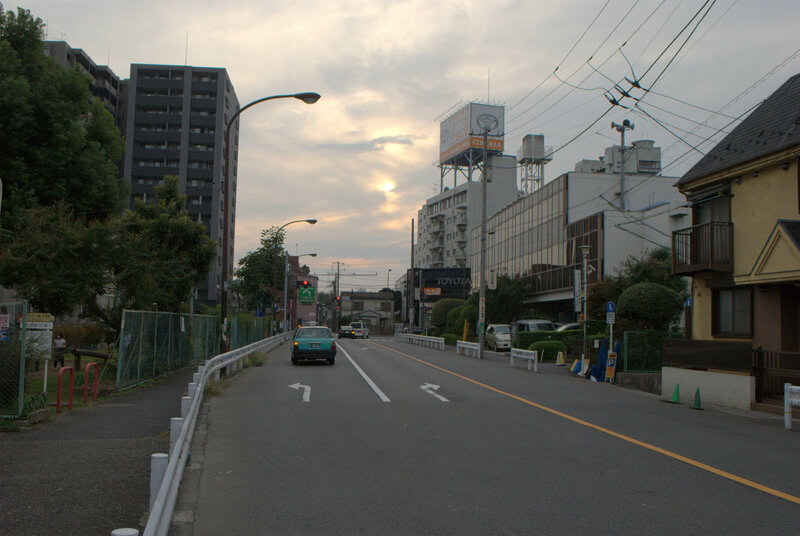 The gap seen along Kanana-dori. Space between apartment building and houses, a future sidewalk. Further along the same path the future sidewalk continues between houses, but with different atmosphere. The current street, filled with houses that are easy to destroy. In the distance, you view Opera City in west Shinjuku. Rusty facades facing the narrow road. The scale of the street is intimate, the side filled with vegetation. Meeting with apartment building. The void between two houses is used as parking. Exit onto the orbital road 7.
hope the vegetations will be kept after the road work and a landscape.